I’m Manuela Ribeiro, an introvert living in Portugal. I was raised in Rhodesia (Zimbabwe). I went to school there, and I had an English education. After my dad’s death, I found myself flying into Portugal at the age of 12. Many things have happened in my life, and what amazes me is that all this time I thought I was different, and now I realize I was right. As a young girl, I felt ashamed of being quiet. My mother was always comparing me to other noisy kids and wishing that I could be like them once in awhile. Books were my best friends, and all I wanted to do was to stay in the library and read, read, read. I liked music and dancing, and I could be funny and playful, but only in very small groups. Despite all odds, I always lived according to my values, and I felt this invisible strength inside me. There was this courage, this inner silent power that kept me going. When I focused on something, I didn’t stop till I achieved it. Many times I was misunderstood: people picked on me and called me a snob (among other names). Although it hurt, I knew I had the power to carry on, and I did. Two years ago, I decided to become a Certified Coach, which I did. 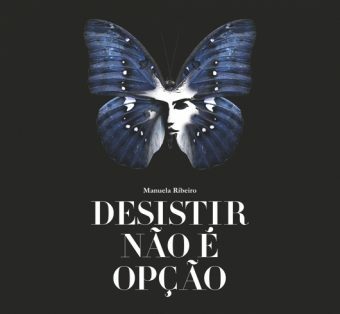 And right after that, I wrote my first book, Desistir Não É Opção (Giving Up Isn’t an Option), which was self-published. Now, here is the thing: People who truly know me know I’m an introvert. But I can tell you that people I meet can’t tell the difference unless I’m in a very big group or at a party. That’s when others might be able to see my more introverted side kick in. I like observing, asking questions, and going outside a party now and then to restore my level of energy. I believe one day, I will be on a stage speaking to lots of people about my book, and I’m taking the necessary steps for that to happen. So, you see, introverts are resilient people always full of surprises—never to be underestimated. I wish i can be like u…but is hard for me because I also stammer.. I agree with you Nando! I can send you my book, pls contact me by e-mail: [email protected] as I can arrange to ship it to you. Hope to hear from you soon. Um bom dia para ti tambem! Sucessos! Today I feel confident, coming to know myself and realising that there are so many of us makes me feel that I am a part of something bigger than me! After reading and joing Quiet Revolution, I suddenly find myself speaking to other people about this subject, as I feel that still too many children are still being pushed at school to change their Silent way of being. yes, there are challenges, yes, children have to expand their limits, but yes, they also have to realise who they really are and only then start learning how to deal with themselves. This is my opinion of course. I wish you lots of success too in all areas of your life! This was a lovely surprise! Thank you For sharing my book, thank you for sharing a small part of who I am. Thank you! Thank you Susan Cain for the research and the book that you wrote about us . God bless you! I’m certain many of us feel the ‘inner silent power’ that keeps us going, as you say. Being quiet, we are able to hear the inner voice, or guidance, to help guide us. I wish you well in all your future endeavors! This is a “common ‘have been there’ story” for many of us. Introverts ARE resilient people. Just think of all the changes they go through to “feel right”. To “feel centered”. To “feel balanced”. A much longer journey than most other people. I have to find your book. Good for you, Manuela! Stay true to yourself and keep surprising people. Signed, an introvert Canadian who moved to Portugal.